1.The spindle box parts use double hydraulic cylinder balance mechanism,ensure the spindle box movement have balance. 3.Main movement use wide speed regulation Ac servo main motor,with ZF speed changing box,make the spindle when at low speeds high torque output, suitable for heavy cutting, high speed with constant power is suitable for finishing machining. 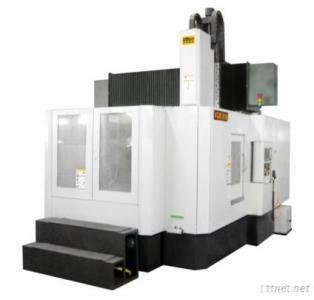 The main product: Vertical machining center, Gantry machining center, ,5 axis machining center, 5 axis milling machine, CNC Vertical machining centers, Horizontal machining center, CNC milling machine: Horizontal CNC boring and milling machine, Horizontal CNC drilling and milling machine, Gantry CNC drilling and milling machine, special machine tools, China machine center etc.